During Word on the Street in Toronto last month, I took part in a panel discussion with two other YA authors entitled “Love in a Hopeless Place”. Just as we were running out of time, a gentleman in the audience asked an interesting question: whether a story about love must rely on a ‘love triangle’ to provide the plot with dramatic tension, or whether there are other ways to create tension in a ‘young romance’ novel without triangulating. Well, my two fellow authors on the panel gave thoughtful responses, reassuring the young man that No, a YA novel does not have to rely on a love triangle for tension, and there are lots of other things that can threaten a relationship, thus driving up tension, stakes, and drama. 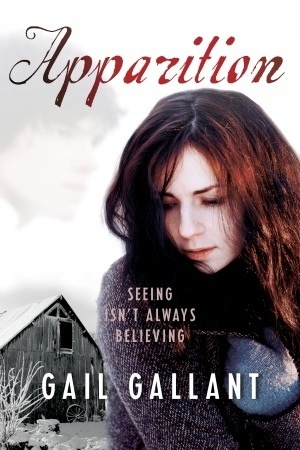 But by the time it came round to me, having a clear ‘love triangle’ (Amelia, Matthew and Kip) in my book APPARITION, and feeling that we’d run out of time anyway, I responded rather glibly, just saying “Yes, definitely!” in a joking way. Afterwards, I kind of regretted not taking the question more seriously, especially given the look of disappointment on the questioner’s face – making me think he’s spent a little time waiting for some gal to make up her mind himself. But then, who hasn’t? Who doesn’t know what that feels like? Of course a YA novel, a romance, or a love story, doesn’t need a love triangle to make it work! A relationship, as we all know, can be threatened by many, many things, thus making for the kind of tension and drama that engages a reader. There are lots of ‘Romeo and Juliet’ style barriers to love, two people coming from worlds that are simply too different – with all kinds of external things working against them, or coming between them – class, race, ethnicity, timing, or lifestyle, not to mention prior commitments. There are countless internal things that can come between two people who love and desire one another. Different needs, dreams, even fears, that can threaten to tear a loving couple apart. But what I think the questioner was really asking was Why are there so many goddam love triangles in YA novels? Ahh! Now, that’s a good question. I think it’s because the love triangle can capture something profoundly true and revealing about character and experience. Namely, that most thinking human beings, especially when they are young adults, but also at times throughout life, are complex, evolving, and wrestling with inner conflict. Which is why feelings about a person can be mixed, even when those feelings are extremely intense, and perhaps especially so. Young people know something adults can sometimes forget – that life isn’t always straightforward and neither are our innermost desires. Which is why a decent love triangle story often rings painfully true. It’s rarely some crass comparison going on between two candidates for one’s affections, and more often two very different parts of oneself that respond separately to two distinct people. Can you love two people at once? Yes and no. You see? Nothing’s simple, for most of us. And if it does seem simple, well, count your blessings. You’re a rare bird. If this weren’t the case, well the word commitment wouldn’t have to play such a vital part in our love lives. Because the point is, love is an experience that demands a choice, and a love triangle is a vivid way of driving home that we don’t choose our experience of love necessarily, but we do choose what we do about it. We just don’t get to choose what the other person does about it. Lucky people are the ones who wind up choosing each other, without regrets, despite the options.